There are options for complete beginners and advanced divers in Mexico - this really is one of the best countries in the world to go diving. Jacques Cousteau famously called the Sea of Cortez (a popular dive site in Mexico) as the aquarium of the world. 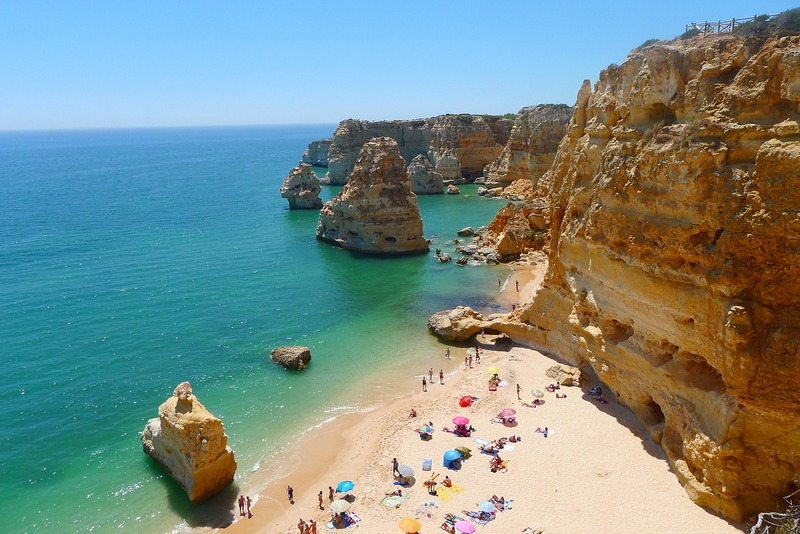 Experience this magical country and spectacular underworld for yourself. Keen to go scuba diving in Central America? Or already know the basics? Mexico is one of the best countries to visit with incredible dive sites and cheap package prices. View our guide to going scuba diving in Mexico including information on beginners dive courses, advanced trips, the best locations and dive sites to visit and recommendations for dive centres. 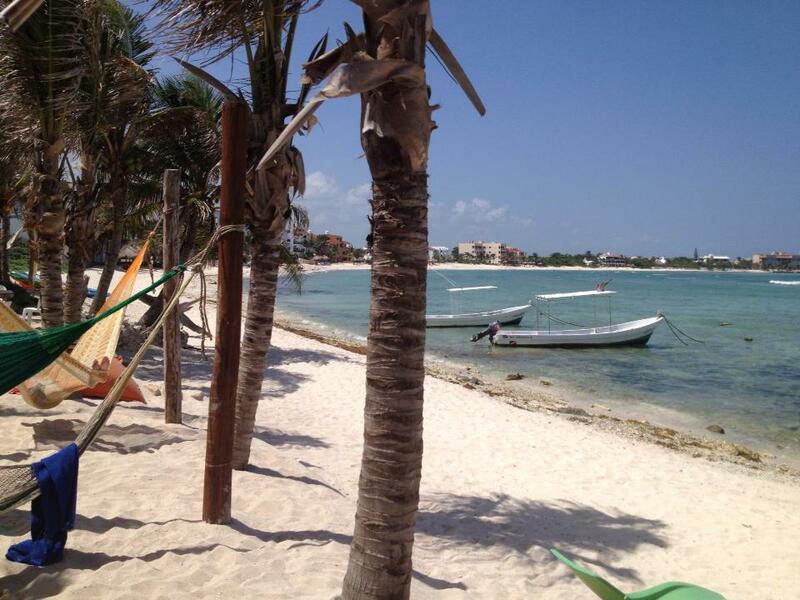 Riviera Maya is one of the top destinations in Mexico for scuba diving and snorkeling. The Great Maya Reef, is more than 965 km (600 miles) long and speads the whole coast of Mexico’s Yucatán Peninsula down to Belize. 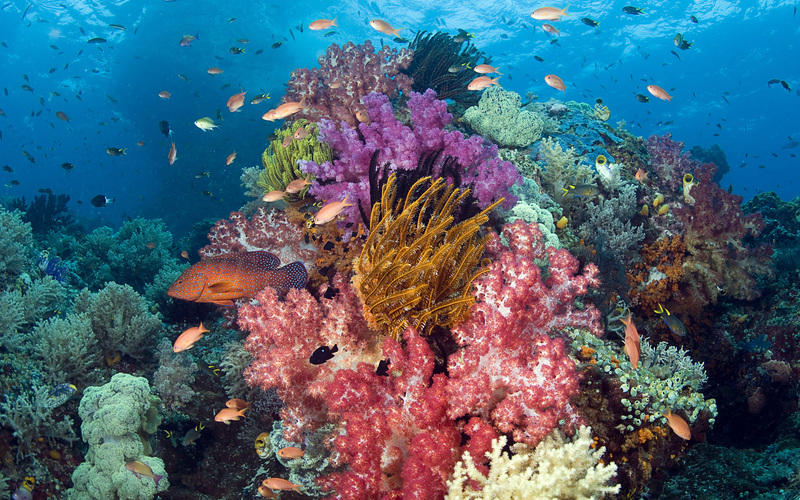 It is the second largest coral reef system in the world. 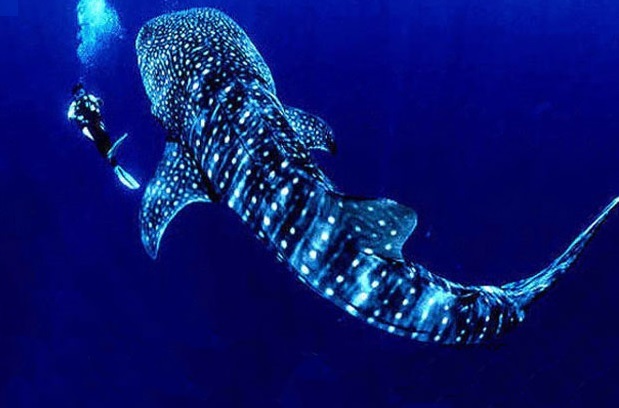 There are over 500 species of marine life located here including colorful tropical fish, turtles, manta rays, dolphins, tiger and whale sharks. 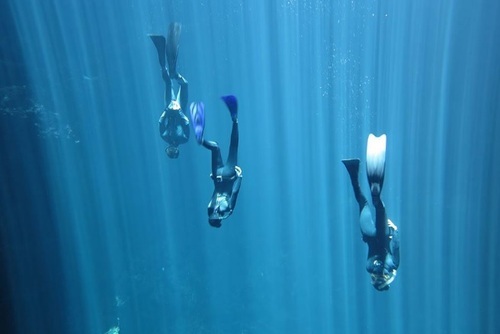 There are dive centres located throughout this region in places like Cancun, Playa de Carmen and Cozumel. If you are looking for a relaxing places to base yourself away from the tourist crowds of Cancun and Playa Del Carmen we recommen the small fishing town of Puerto Morelos which is located at the top of Riviera Maya below Cancun. This town is a in a great location due to being so close to the Puerto Morelos Reef Park which has some of the best diving locations in the whole of Rivera Maya. This is one of the most beautiful areas in the country know as the Mexican Riviera. 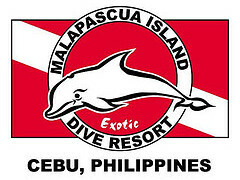 Expect pristime white sandy beaches and a large number of dive centres with years of experience taking people diving. You can go diving all year round here but the most popular time of the year is between August to February. 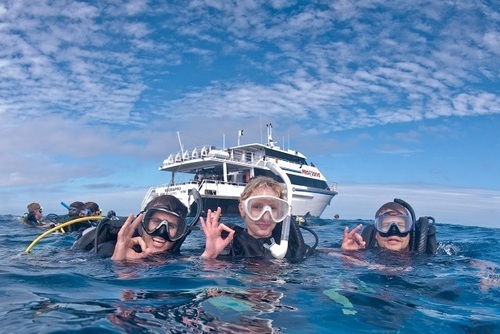 If you are seeking adventure Cage diving with great white sharks is popular in this region. 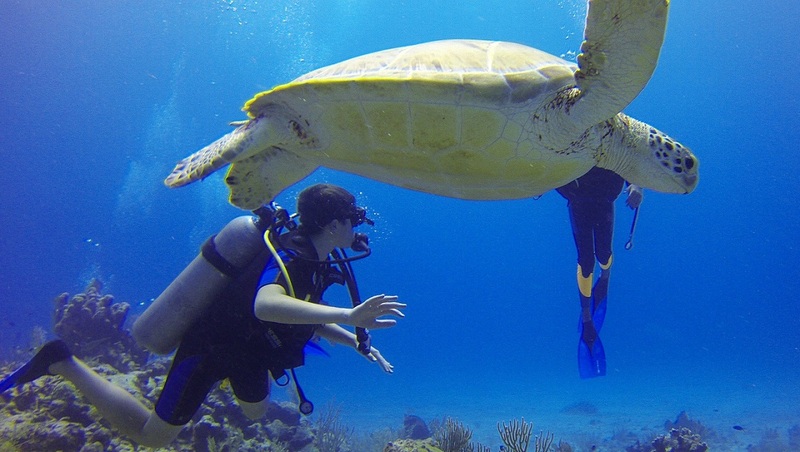 You could might not know it but you can learn to dive in Mexico's sprawling captial city. There are schools which offer pool courses throughout the city. Part of the second largest coral reef in the world and a fantastic place to go diving where you can see marine life, coral and the beautfiful ecological sanctuary of the Caribbean. A unique cave system perfect for the adventure diver but not for people who get claustrophobic easily. You can dive at the Grand Cenote which has clear waters and formations of stalactite and stalagmites. If you want to go wreck diving in Mexico we recommend heading to the Great Maya Reef which has thousands of shipwrecks scattered on the ocean bed. Another popular destination, Cozumel Island has several dive sites including Maracaibo Deep, Santa Rosa Wall, Paraiso Reef, San Francisco Reef and Palancar Reef. We recommend taking a trip to the Sand Falls and Gordo Banks. Places to see include the tunaboat wreck, the Diaz Ordaz and San Pedro Island. 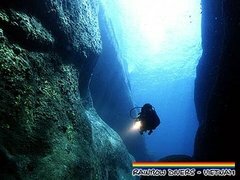 A popular dive destination for experienced divers in Angelita meaning “little angel” which perfectly describes this dive site. The location is inique too, you acess the site by walking through the jungle and then you will find the cenote which is around 200 feet deep! This is a fresh water dive site with clear visibility but you will need lights to go to the bottom. 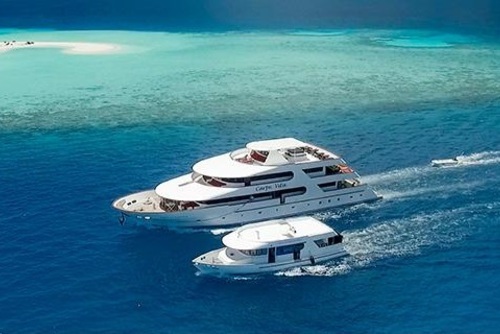 Not many dive destinations in the world compare to this. If you plan a dive trip to Mexico inbetween December to March you can see, go swimming or go diving with whales. Most dive excursions will take you to Scammon's Lagoon where there are the largest number of Californian Grey whales, usually you can see over 1,000 every season. You will need to join an overnight expedition to to Guadalupe as it takes around 20 hours to get there. This area is such a good destination for sightseeing as it is a major breeding ground for the Guadalupe Fur Seal, one of the Great Whites preferred meals. Shark dive operators offer trips for both professional divers and non-divers - you will get to go in a cage and either dive or snorkel. If you are feeling brave some operators even let you get out of the cage! What happens on arrival is the staff will chum the area to attrac the sharks, once there is a sightseeing cage diving will commence. It is a really special moment when you get to see a Great White up close! These encounters are very safe and all preparations are made to gudie you through the experience. 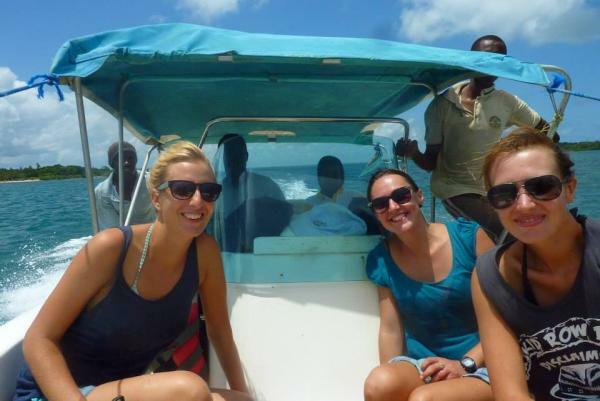 Several operators offer these trips and cost around US$3,000 including boat trip, taxes, food and drinks. You might need pay pay extra for the national park fee and Mexican visa. The best time to go is from August to October which is usually the peak time for viewings. Language: Dive centres have staff which speak a number of languages including English so don't panic if you don't speak Spanish. If you would like to combine learning to dive and improving your language skills view our Spanish language lessons in Mexico. Cost: The price you pay really depends on the dive centre and also the package you choose. Dive centres usually accept payment in Mexican Peso and US dollars. Some websites allow you to make transfers in multiple currencies too. 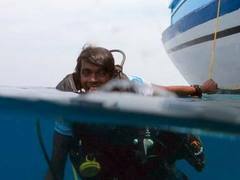 Helping Conservation: Some companies can arrange dive courses and combo conservation projects. These are perfect if you would like to volunteer in Mexico. 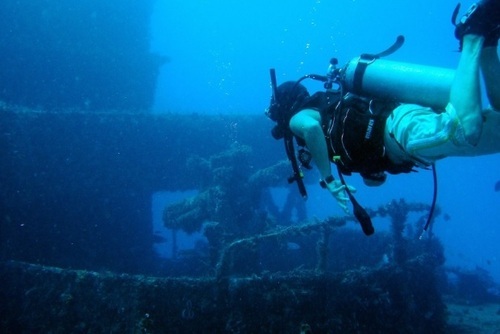 You can search courses from top ratad dive schools on our directory. If you need any help arranging a dive course in Mexico please get in touch. If you have ever been diving in Mexico and would like to write about your experience, review a company or share any recommendations please contact us. If you represent a dive centre in Mexico and would like to be featured here please contact us.